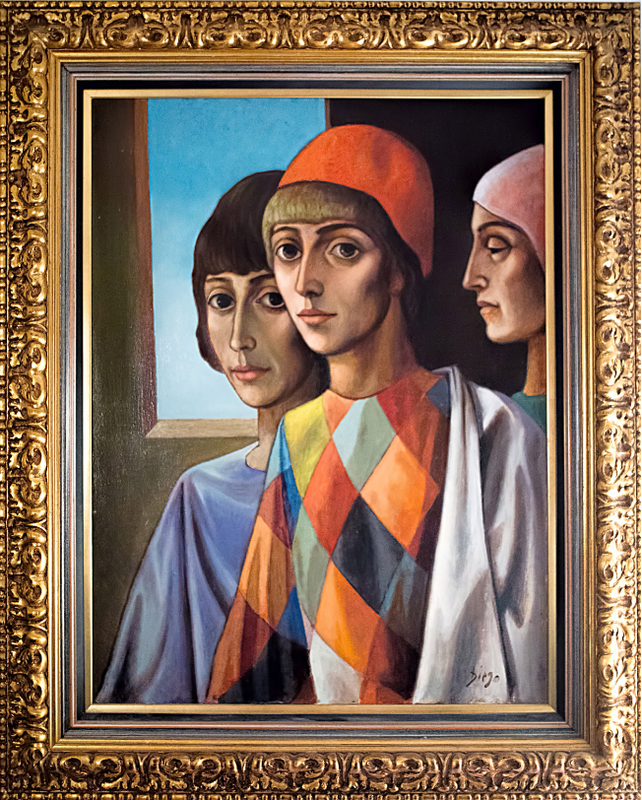 Feast your eyes upon execution of an exquisite true masterwork by internationally collected figurative artist Diego Voci (1920-1985). The excellence of skill and dimension would have you believe you are wearing 3D glasses. This treasure is the latest addition to the Fairchild Family Art Collection. Send us your DIEGO finds, we’ll be featuring more #treasures soon! “As a young girl living in Germany I had the rare treat of going to meet a REAL artist. I was so excited! His name was Diego Voci and at first sight I recognized Diego’s charisma. My nervousness subsided as he drew us into his world with his exceptional interest in each of us. He was very interested in the fact that both my middle brother and I read and played instruments. Diego upon learning or our musical training removed a napkin and drew a treble clef on it asking us to explain what the clef symbol was and a sheet of music he had. What struck me was that during this visit the house he lived in was a cornucopia for the imagination. He graciously took us through the living and working areas and I seem to recall an easel with unfinished work set up in the studio. I remember DIEGO as a man that displayed so much interest in the world around him. I also remember him saying that you could paint with color, light and canvas. He had the ability to instantly draw you into his world and to include you into it. Much of my memories are that of an observer being let into a brilliant artists life. I remember how he also mentioned that I reminded him of a young girl and how my face shape was so similar. 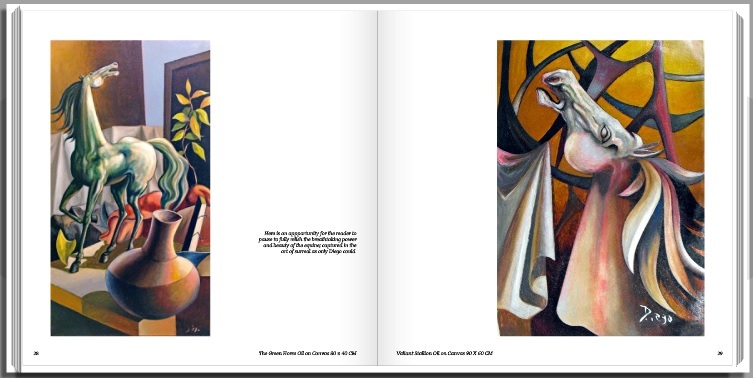 I remember being transfixed at the beautiful colors and the huge easels with work yet to be finished. On asking him when he painted, he responded then that he never knew when the urge would present itself and then as we were leaving Diego left and went into the studio where he started to paint. 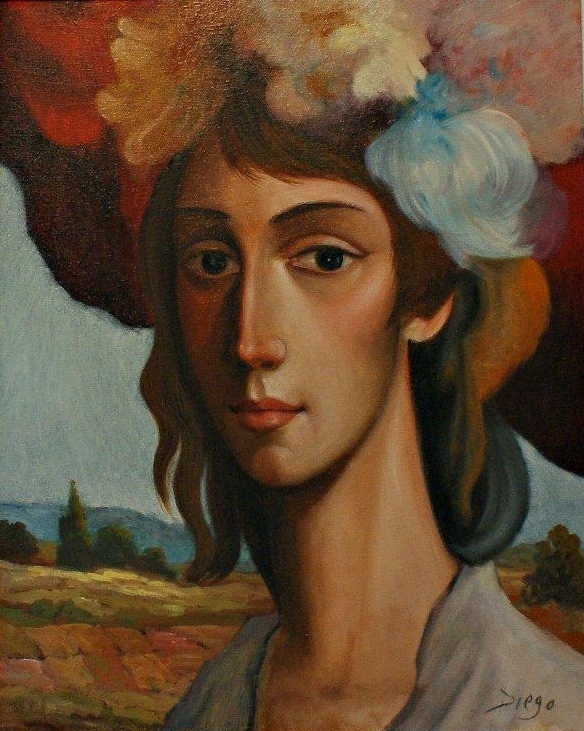 #DIEGO – Antonio Diego Voci (1920-1985). What is the common denominator of each of these 6 wonder horses? Each of these wonder horses came to their owners for very little money; owners who deeply believed in them, and loved them. And today, they are among the world’s best remembered equine for their greatness. It seems certain horses and certain horse lovers have a “Sixth” sense, an intuition that brings them together providing an energy that propels them to championship. 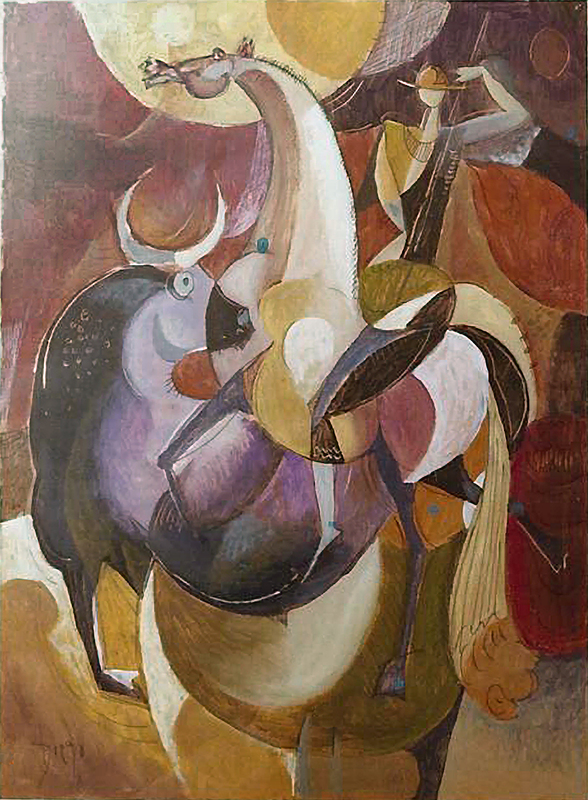 “Valiant Stallion” and the “Green Horse” are the magnificent creations of internationally collected artist Antonio Diego Voci (1920-1985) depicted in the #surreal; artistic champions on canvas inspired by Diego’s love of #horses he observed. 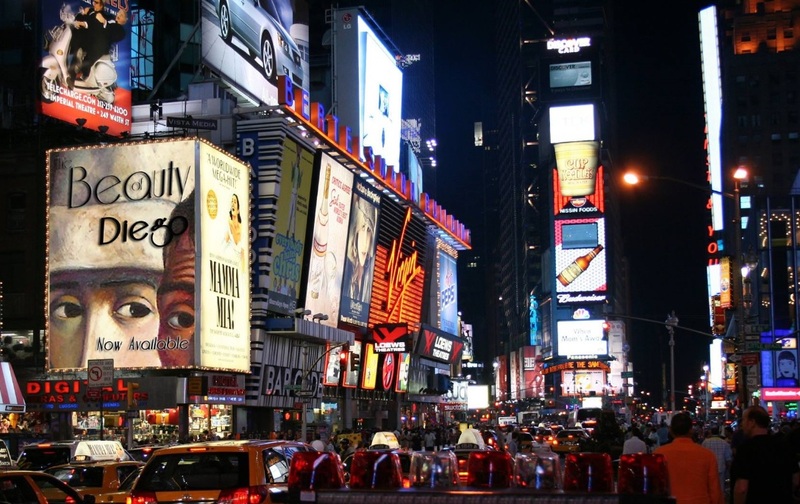 “The Beauty of Diego” featuring internationally collected artist Antonio #Diego Voci (1920-1985) opened last week sharing billing at Times Square with Mamma Mia. Producer Stephen #Max was bathed in acclaim at #“The Beauty of Diego” after party . . . 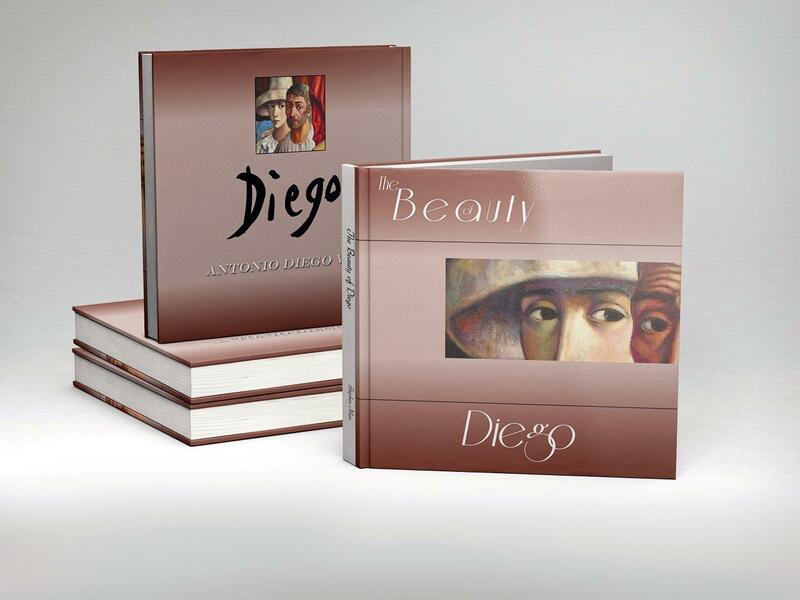 In reality “The Beauty of Diego” is a handsome real life new 145 page deluxe book ($127) featuring more than 120 images of Italian post-war modern master artist Diego Voci. #DIEGO – do you know #Diego #Aficionados? Let us know! Help us find more #Diego #Art!